How do you pair up LED lights with drivers? Pairing LEDs and drivers can be a very technical exercise. We strongly suggest that you seek expert advice as you go forward. This guide is intended to introduce you to the basics so you can build from there. We believe knowledge is key to avoiding unexpected hiccups but the detail is complex so if you find something is unclear please contact us on 0333 123 5464 for further advice. Drivers – often called transformers, or ‘control gears’ in technical circles – manipulate mains electricity from the grid, into a particular voltage or current that an electronic appliance requires. For example, the most common type of LED driver converts 230V alternating current mains electricity into 12V direct current electricity. Without a driver in place, the mains power would be too strong and damage the electronic device. All LEDs need drivers, but only some LED lamps require you to pair up your LED lighting with a driver. You may come across lots of names for LED lights: ‘lamps’, ‘bulbs’, ‘fixtures’, ‘luminaires’, among others. What all these names are doing is pointing out that you are buying the LED itself plus its metal and plastic/glass casing and the circuitry to make it work. The reason these names exist is so you know what you are buying. 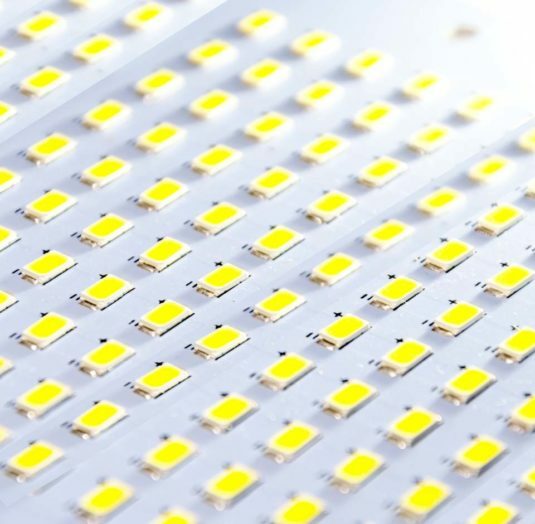 If you buy an ‘LED’ this generally means you are buying the LED chip only and these are all technically the same although some are far better quality than others. On the other hand, if you buy an ‘LED lamp’, these come in different types which you need to choose between. The fundamental difference between LED lamps/bulbs/fixtures etc. is where their driver is. LED drivers are either Incorporated or external. LEDs with incorporated drivers include: GU10, B22, B15, E27, E14, and more. This means their drivers are small and are housed in the same casing as the LED chip, such as the base of a spotlight. These are the most common LED lamps for everyday use. Average users generally don’t want to learn how to pair up lights and drivers so incorporated drivers are best as the manufacturer has done the hard work. All you need to do is screw or twist the new lamp into your light fitting. Limited space for the driver means less effective parts are sometimes used on budget priced products. This can shorten the life of the lamp. When an incorporated driver breaks you have to replace the whole lamp, not just the broken bit. LEDs that need external drivers include: MR16 (GU5.3), MR11 (GU4), Capsules, Panels, Downlights, and more. These lights are all to be wired with a separate driver between them and the mains. 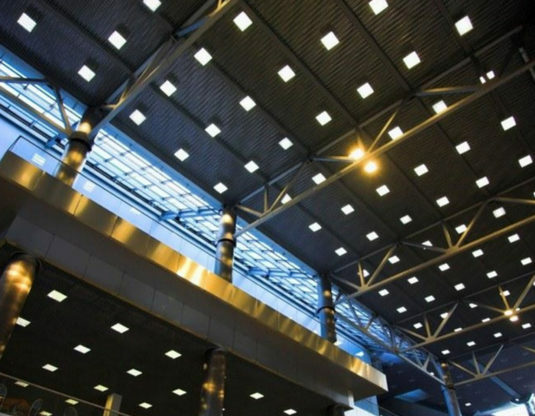 When you want to pay more attention to aspects of lighting design like dimming, using external drivers has its advantages – giving you more control. You would want to invest time to learn how to create a good system or budget for a lighting expert to design the system. External drivers are also preferable in professional environments because the separate components can be replaced. Lots of dimming options. See our LED Dimming Guide. Light source can be replaced without scrapping a working driver and vice versa. Room for the best electronic components to work very effectively and efficiently. Pairing up lights and drivers can be tricky. External drivers are larger and take up more space. When selecting the right driver for your LED lamp you will need to choose between constant voltage and constant current. The most common type of driver is constant voltage. Most LEDs which require a driver are designed to work with a 12V constant voltage driver. Some unusual LEDs will require a different fixed voltage. All other LEDs will require a constant current driver. For example, a fixed current driver could supply 350mA. Technically speaking, the two types of driver respectively refer to LED lamps with chips in parallel and LED lamps with chips in series. It is extremely difficult to tell how the manufacturer has made their LED lamp without taking it apart. LED lamp manufacturers will always indicate whether constant voltage or constant current is required. Sometimes it is only mentioned in the technical information but it will be stated somewhere. Typically, manufacturers won’t make a great effort to inform the customer what supply is needed if they supply an external driver with the lamp. This is the case for both our Verbatim, and EcoLED downlights. EcoLED downlights require a fixed current. Some need a fixed 350mA, others a fixed 750mA. Verbatim downlights require a fixed voltage (12V). It is essential you choose correctly between fixed voltage and fixed current, but that is only the first of two steps. The second is to ensure the driver has an appropriate wattage range. All drivers will have a power range they can provide, from a lower limit to a higher limit, 6W to 30W for example. What this means is that the driver can convert mains electricity into a fixed voltage, or a fixed current, anywhere between 6W and 30W of power. Voltage, multiplied by Amps, equals Wattage. LEDs require a fixed voltage (V) or a fixed current (A). When you fix one part of the equation on the left, the second part on the left must alter to change the amount of wattage (W) on the other side of the equation. For example, you have two fixed voltage LEDs at 12V. One is 6W, the other is 12W. In these examples you can see that ‘A’ must change to deliver different amounts of power (W) from a constant voltage driver. In a, A = 0.5 (500mA, 500 milliamps). In b, A = 1 (1000mA, 1000 milliamps). Imagine a constant voltage driver, at 12V, has a power range of 6W to 12W. Examples a) and b) above show that this driver can deliver a current of anything between 500mA (0.5A) to 1000mA (1A). If it were to power a 9W lamp, it would produce 750mA (0.75A): 12 x 0.75 = 9. A 3W lamp would receive too much power from the driver in this example because the driver produces a minimum of 500mA, at 12V which is 6W. Conversely, a 15W lamp would receive too little from this driver. The result is that the 3W lamp would receive too much power and burn out its circuit, and the 15W would receive too little power and be dimmer than it should be. It may also behave erratically and flicker or pulse. The example above shows us why it is important to choose a constant voltage driver with an appropriate wattage range. The same is true for constant current. In another example you have two constant current LEDs at 500mA (0.5A). One is 10W, the other is 20W. In these examples the voltage (V) must change to deliver different amounts of power (W) as the amps (A) are fixed. In c, V = 20: 20 x 0.5 = 10. In d, V = 40: 40 x 0.5 =20. So if there was a constant current driver at 500mA with a minimum power output of 10W and a maximum of 20W it can deliver anything between 20V and 40V. So if you used this driver with a 5W LED it would burn out. If you used it with a 30W LED it would not be bright enough. All of the above shows that you need to select a driver which is 1) constant voltage (V) or constant current (A), and 2) which has the right wattage (W) range for your LED. Getting either or one of these steps wrong can cause problems and may even damage your new LED lighting.